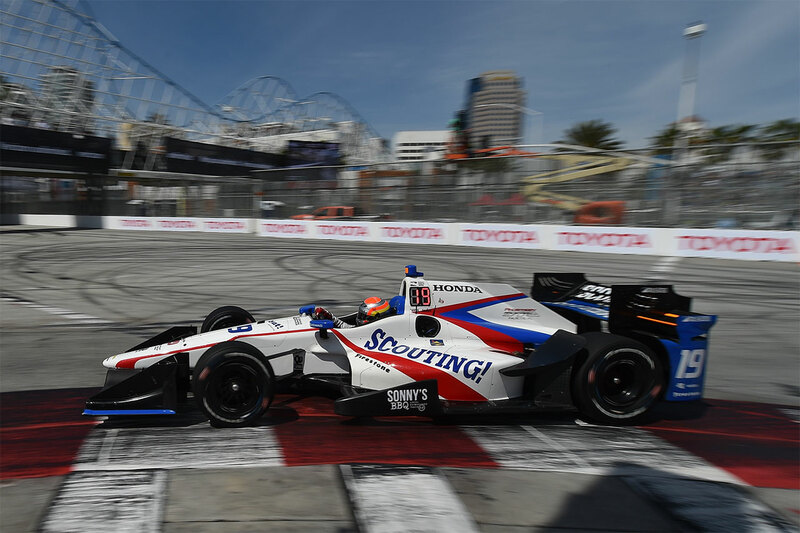 Ed Jones demonstrated last weekend that his stellar Verizon IndyCar Series debut at St. Petersburg had been no flash in the pan, with a charge through the field to finish sixth in Long Beach earning the talented young Dubai, UAE-based ace praise for a ‘phenomenal’ performance. 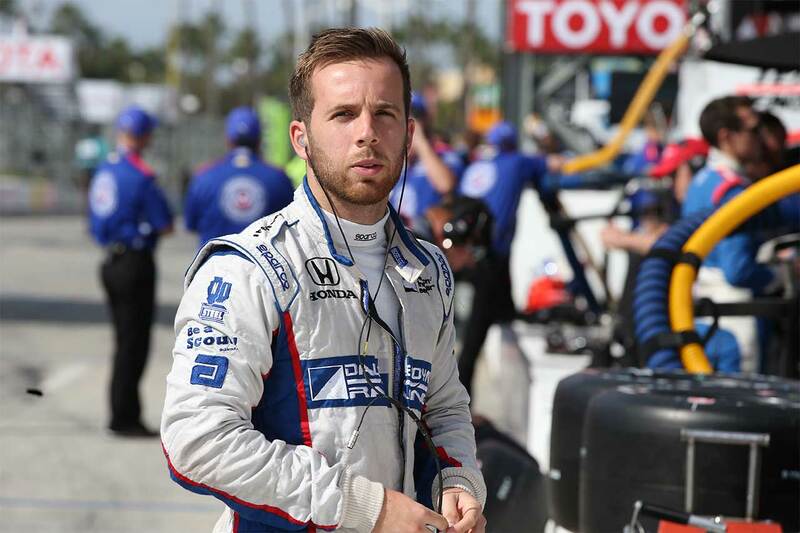 Having impressed onlookers with a top ten finish first time out as the only rookie in the fiercely-disputed, 21-strong IndyCar field, Jones headed to the legendary Grand Prix of Long Beach – one of the most iconic and prestigious races on the 2017 calendar – bidding to build upon that form with Dale Coyne Racing at the absolute pinnacle of US open-wheel competition. 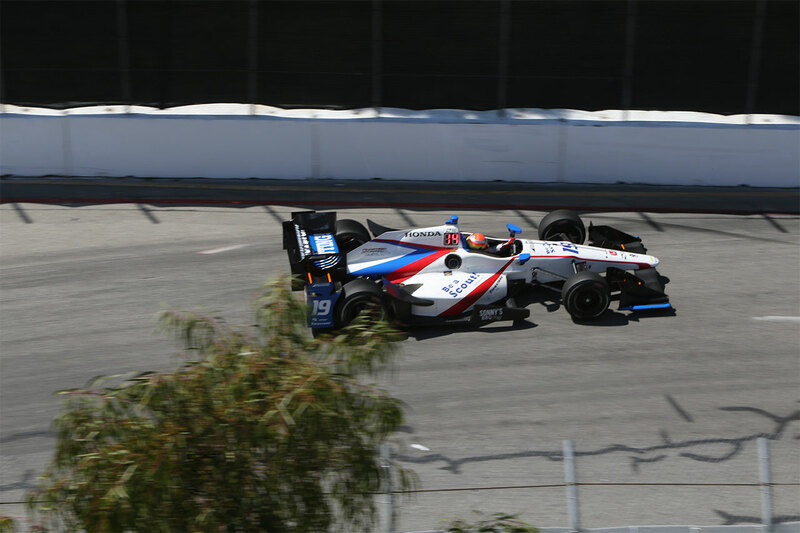 A demanding track that rewards experience, the southern California street circuit already held happy memories for Jones, who had won there in his only prior appearance at the beginning of his maiden Indy Lights season two years earlier. The 22-year-old Brit quickly reacclimatised on his return, logging some 54 laps throughout free practice behind the wheel of his 720bhp Dallara-Honda single-seater and proceeding to thread the needle between the unforgiving barriers in qualifying to line up 13th on the grid. That placed him directly behind DCR team-mate and championship leader Sébastien Bourdais – one of seven previous Long Beach winners in the fray – as he missed out on advancing to the second part of the session by less than 17 hundredths-of-a-second in an extremely high-calibre field. When the lights went out at the start of the 85-lap Grand Prix of Long Beach the next day, Jones immediately gained ground to run ninth by dint of keeping his composure and taking advantage of an incident ahead. 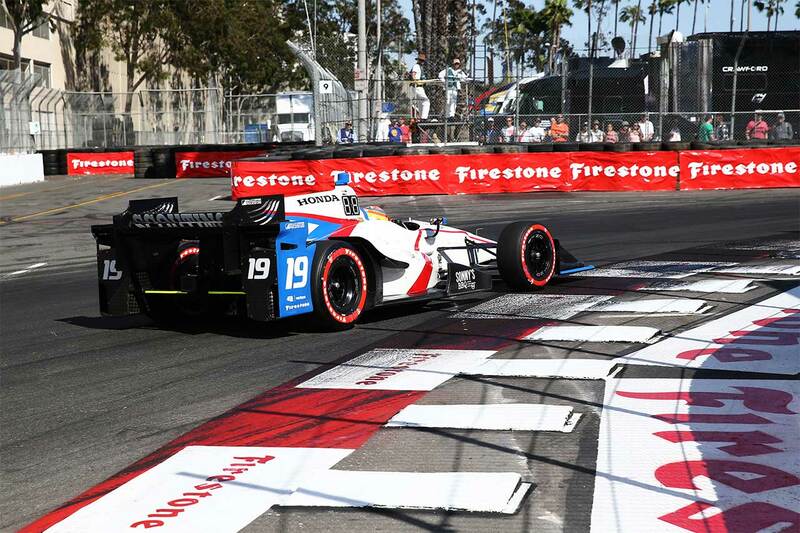 Settling into the slipstream of Saturday pace-setter Hélio Castroneves, the reigning Indy Lights Champion rose as high as seventh before pitting for the first time and conceding a handful of positions, but he soon battled back up the order – with a superb move on Graham Rahal a particular highlight. Jones subsequently mastered a brace of late full-course caution periods and pulled off more eye-catching overtaking manoeuvres to work his way up to sixth, where he would remain to the chequered flag – right in amongst the series’ very biggest-hitters. 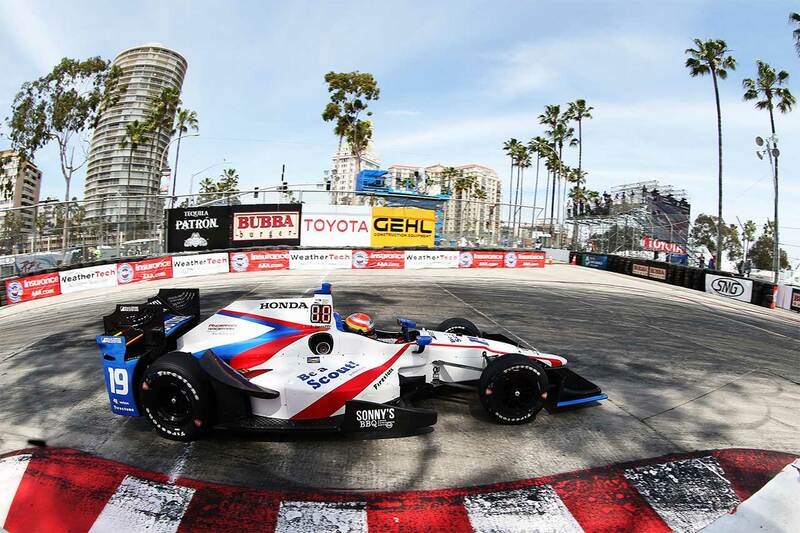 His second consecutive top ten result not only helped to consolidate DCR’s finest-ever start to an IndyCar campaign, but also elevated the former European F3 Open Champion to an excellent seventh in the points standings. 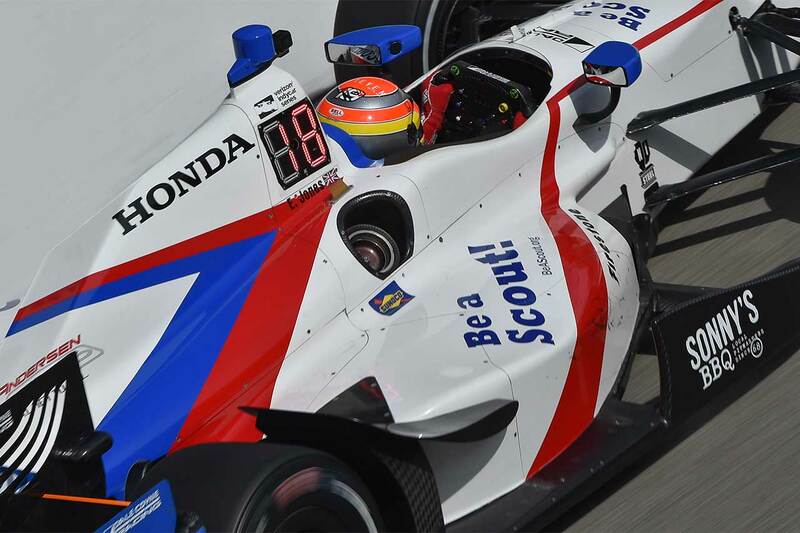 Jones is now keen to maintain his burgeoning momentum when the IndyCar circus travels to Barber Motorsports Park for the Grand Prix of Alabama on 23 April. 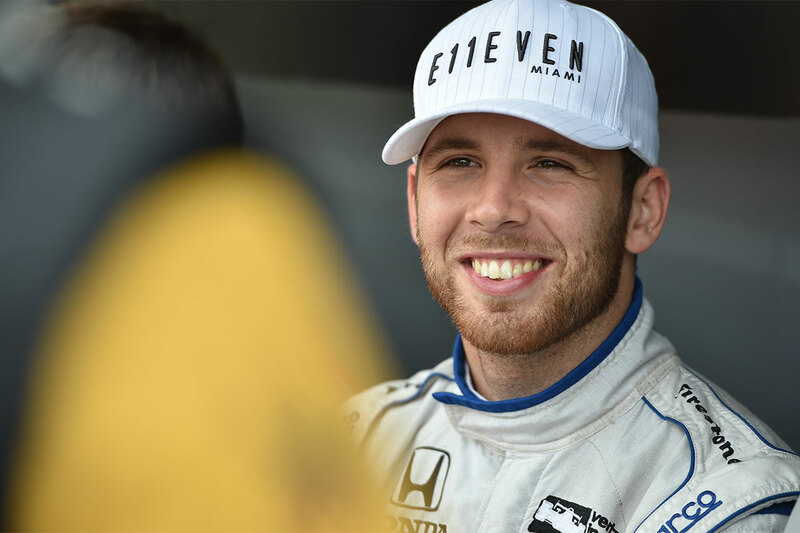 “I knew a lot more about what to expect at a race weekend after what I had learned at St. Pete,” reflected the Williams-Harfield Sports Group protégé. “That was such a good experience for me and I was more comfortable in the end than I’d thought I was going to be – I think we took a lot of steps forward. “Long Beach is one of my top two favourite events, with a great atmosphere and awesome circuit so it was good to be back. I struggled a little in practice, but we worked hard overnight to make changes to improve the car and to end up so close to the top 12 in qualifying showed that we had gone in the right direction. It was obviously a bit frustrating to be so near yet miss out, but it left me feeling really confident for the race and it was great to finish inside the top ten again – not to mention another fantastic team result with Seb in second. I was fighting in every stint, which was a lot of fun. That respect and appreciation is clearly mutual, with team owner Coyne quick to pay tribute to his new protégé’s stellar performances so early on in his career at the top of the Mazda Road to Indy ladder.